Doggie Daycare | Animal Barn -- A One-Of-A-Kind Vacation For Your Cherished Pet! Animal Barn has a versatile set of kennels that can handle the needs of your pets for short or extended stays. We have a series of programs that include daycare for your pets, so they are not left home alone, kennels for long term stays of days or more, and a staff that loves animals. Our kennels are rampant with animals that have been given to our care for their owners’ work-days. We have a trained staff that enjoys dog walking and playing with your furry friends while you are busy with work and cannot take care of your four legged friends. Dog walking is a great exercise for our guests as it expends some of their energy so they are not pent up when you come to pick them up, and also gives them an opportunity to do the things they need to do outside and play around a bit. We offer many pet services for our guests and we would like to do dog walking and playing for your friends too. 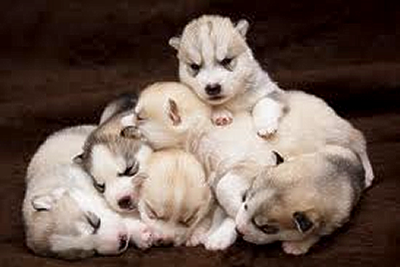 Have you returned home after a hard day at work to find your home the doggie daycare baby husky dogsscene of destructive rampage? 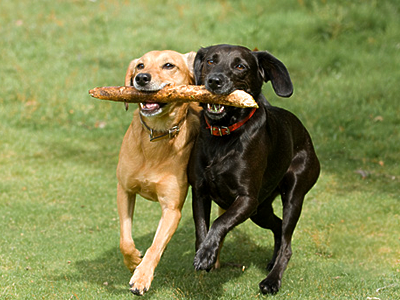 Our doggie daycare program gives your pet the opportunity to run and play outdoors several times a day. When they are indoors, they will be provided a climate controlled run with plenty of fresh water and a snack if you so choose. Daycare can also be a great alternative for elderly pets that need an opportunity to potty several times a day or to be given medication. We offer a reduced rate for complete 5-day work-week, day care reservations. We want our customers to know that their friends are not just going to a set of kennels where they will be stuck for a day, but that they will be cared for and cherished. We love pets at Animal Barn, and even if we only have to care for them for a work day we will be happy to make new friends and make them feel at home. You take your children to day-care when you go to work, before they are old enough to go to school, and for those who feel their pets are like their children, this premise holds true too. We have made it our business to ensure that our clients’ pets are treated as well as if they were home with their owners. We know that some pets need to be house-broken before they can be left home alone, and some pets act up and cause trouble when they are left alone for a work day. This is where we provide a sense of security and relief for our customers. We understand pets and their need for attention and care, and with a highly trained staff we will ensure that your pets are well cared for and trained to behave as well as given the appropriate outlets for their energy without causing trouble and wreaking havoc. Our doggy day-care facilities are kept clean, and are cleaned multiple times a day while your pets are going to classes, or playing in their designated recreational areas. We understand the value of maintaining a sanitary facility for our customers, and we want you and your pet to get the best treatment possible from your pet care providers. With classes, play-time, feeding and extra activities for our boarding pets, we have everything you need from your animal care facility to create a happy place for your pet to spend his or her time when you are not home with them. Our employees enjoy giving your pets the best time they can have while they are here and your dogs will look forward to spending their days with us while you are at work. We guarantee it.